The Sacrosanct Chamber is getting their own Warband. 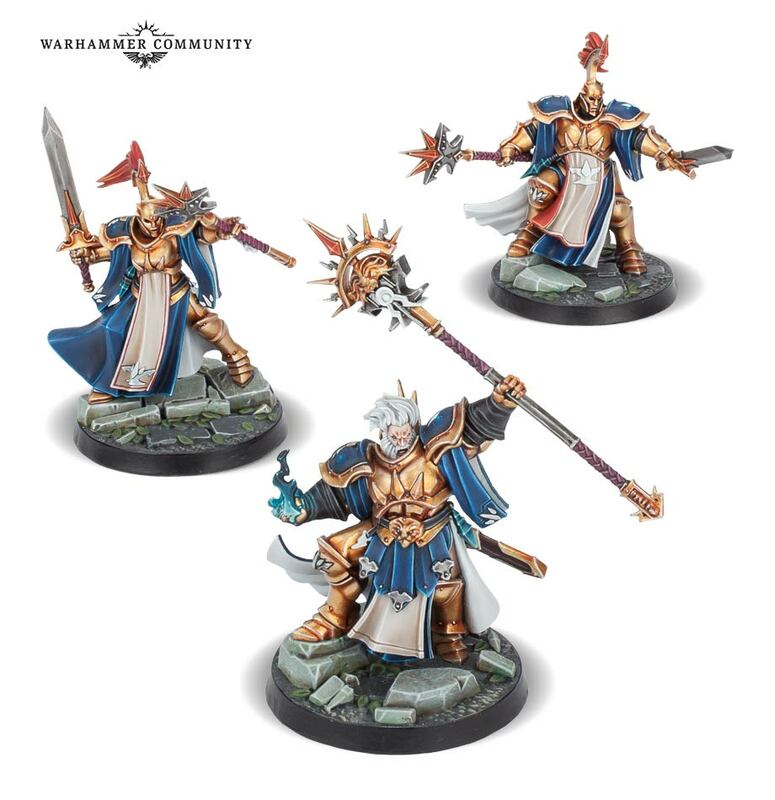 It’s time to head back into Warhammer Underworlds with a new batch of Stormcast Eternals – meet the Stormsire’s Cursebreakers! There is a new season of Warhammer Underworlds on the way in a few days and with it comes two new Warbands, new boards, and new mechanics to master. We already got a look at the Thorns of the Briar Queen yesterday. 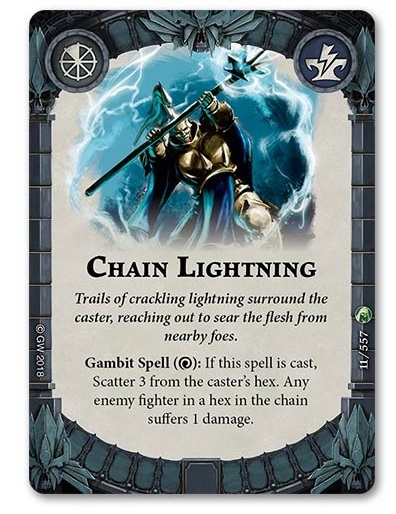 Today, we’re looking at the Sacrosanct Chamber’s champions: The Stormsire’s Cursebreakers. Stormcast Eternals are known for their durability. That trend continues for the Cursebreakers. As you’ll see below, the entire warband brings lots of wounds and a decent armor save to the battlefield. 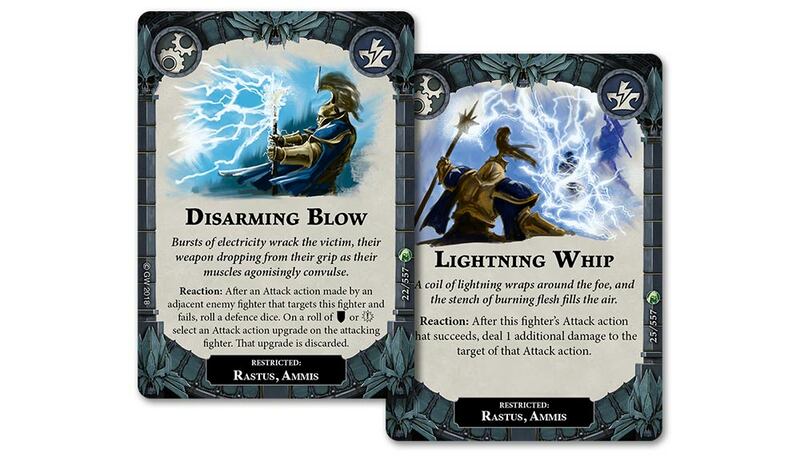 The Stormsire’s Cursebreakers are also great for new players to learn the game with. Not only are they a bit more forgiving, they also use all of the core game mechanics with them – including the new Magic system. 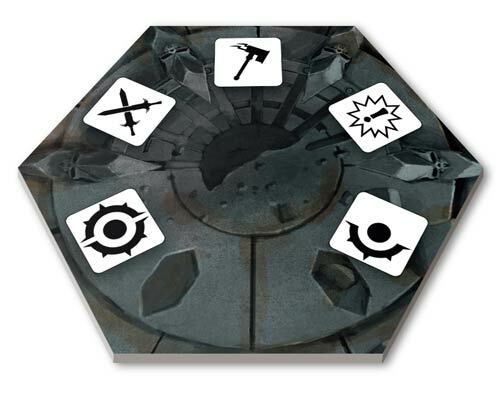 Each member of the warband is a wizard and their Warband deck is loaded with spells to use in battle. 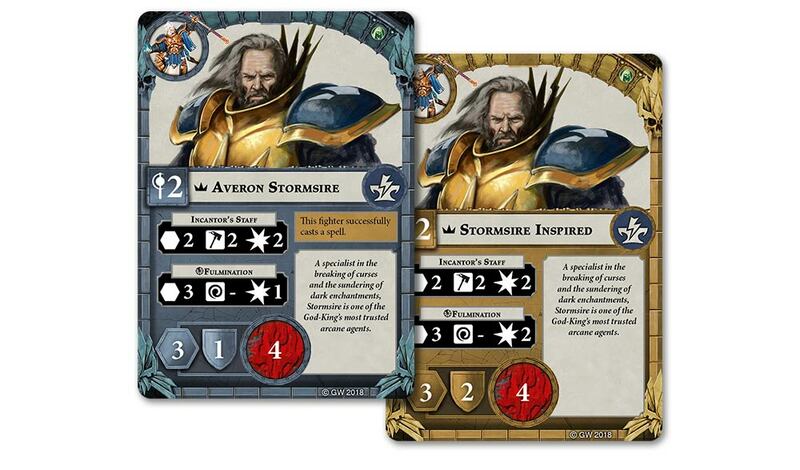 First up is the Warband’s leader – Averon Stormsire. Averon can do it all, from casting spells to taking hits, he is a force unto himself. He packs a punch in close combat and has a deceptively effective ranged attack to boot. And inspiring just requires you to successfully cast a spell which is something you’re probably going to be doing quite a bit. The last member of this blessed trio is Rastus the Charmed. 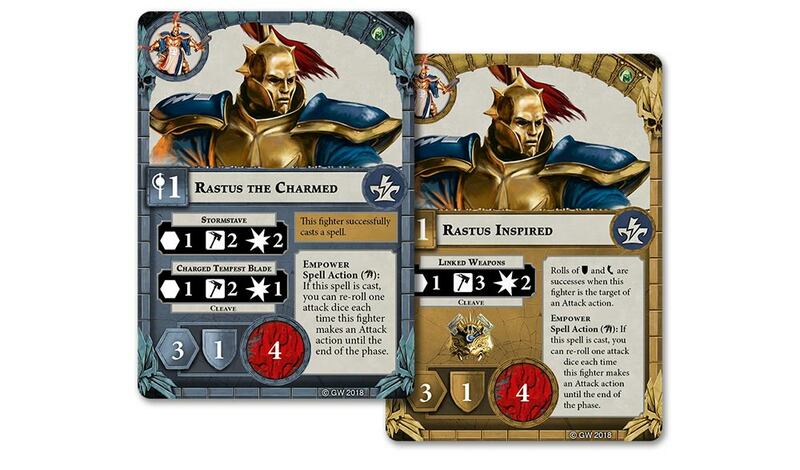 Why is Rastus Charmed? I’m not sure – but he’s another wizard that can hold his own in combat, so maybe he’s just lucky. Rastus has a very similar profile to Ammis, but if you look closely his Charged Tempest Blade has Cleave. That makes him deadly against packs of targets. He still has the Empowered Spell action and can hold his own in most situations. The Cursebreaker’s Deck packs quite the punch. These upgrade cards are just the tip of the iceberg. From disarming opponents to doing bonus damage when a successful attack is made they are sure to bring the hurt! The Stormsire’s Cursebreakers are heading to Nightvault to see if they can’t break the spell that Nagash has placed on the Cursed City. I guess we’ll have to see if they live up to their name. 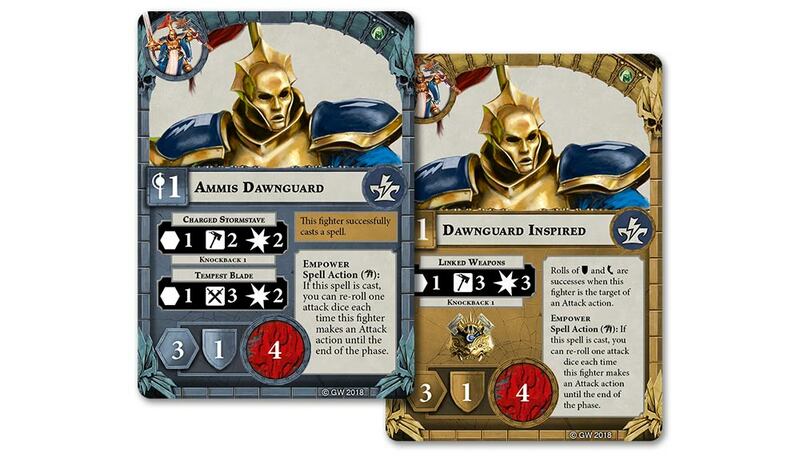 Are you excited about these new entrants to Warhammer Underworlds?